Brownie Lee Canada Keathley, 79 of Dyer, Tennessee died on Tuesday, February 12, 2019, at Dyer Nursing Home in Dyer, Tennessee. Born Tuesday, November 21, 1939 in Dyer, Tennessee, she was the daughter of the late George Reed Canada and the late Beulah May McDaniel Canada. 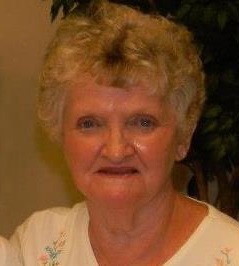 She was a retired employee of ITT in Milan, Tennessee and a member of Cool Springs Cumberland Presbyterian Church. A celebration of life service for Mrs. Keathley will be held at 3:00 PM on Saturday, February 16, 2019 in the Chapel of Johnson-Williams Funeral Home. Officiating this service will be Rev. Mike Canada. A private family interment will be held at Mt. Olive Cemetery in Dyer, Tennessee. She leaves to cherish her memory, one daughter, Nancy Lee Wimberley Wilkerson (Richard) of Trimble, Tennessee; two grand-daughters, Rebecca Holden (Kris) of Kenton, Tennessee and Brandi Palmer (Todd) of Dyersburg, Tennessee and two great-grandsons, Hunter Holden and Hayden Holden both of Kenton, Tennessee. In addition to her parents she was preceded in death by her husband, Jamie Ralph Keathley; one daughter, Beverley Gay Wimberley; two brothers, Billy Canada and James Reed Canada and two sisters, Catherine Morgan and Carolyn Rush. In lieu of flowers the family ask that memorial contributions be made the charity of the donor's choice. Online condolences may be made to the family at johnson-williamsfuneralhome.com. Johnson-Williams Funeral Home is honored to serve the family of Brownie Lee Canada Keathley.